What Kind Of Security Do You Need For Your Warehouse Overnight? If you work in a product-based business that deals with the storage or shipping of merchandise, those items are vulnerable to theft. Reports indicate that billions of dollars’ worth of merchandise is stolen in the country every year. Theft occurs at all levels of the supply chain: At the production site, during hauling, at the port, or in a storage warehouse. The best form of security is one that allows you to have a trusted set of eyes watching your products at all points of the value chain. This starts with hiring trusted employees. But when they leave at the end of the day, you should consider hiring private security guards to keep an eye on your products. Warehouses are packed with market-ready goods, which make them prime targets for thieves. So, it is important that you put your best security measures around them. 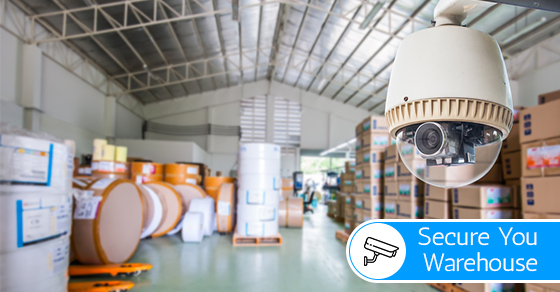 A good security system that combines a few changes in practice and new technologies with highly skilled private security guards can help to ensure that your inventory stays safe from potential thieves. If you want to protect highly priced or valuable items, there is no better option than a live security guard. All these scenarios present thieves and/or vandals to breach your security day and night, and conceal/remove goods from the warehouse and compound at night and even during regular business hours. Warehouses are generally not high traffic areas, plus they are not as well lit as the offices. In addition, many storage facilities are usually very large, with sections for the storage and manufacturing of raw materials, industrial machinery, and finished products, all of which need to be protected. Guard services provide the needed protection to prevent any losses from your warehouse, day and night. You can have peace of mind knowing that you have expertly trained eyes to identify any problems before they occur, in addition to providing yard management, trailer tracking, checking of seal integrity, access control, mobile patrols, and emergency response.